The 9th Berlin Biennale for Contemporary Art is about to close—come celebrate with us at KühlhausBerlin with tunes by Nguzunguzu, Nkisi, Total Freedom, and more. Lock the date in your calendar! On the final weekend, starting Friday, September 16, the publication The Present in Drag and the tote bag Publikum can be purchased for 18 instead of 23 Euro at the exhibition venues Akademie der Künste, ESMT School of Management and Technology, The Feuerle Collection, KW Institute for Contemporary Art and in the online shop. 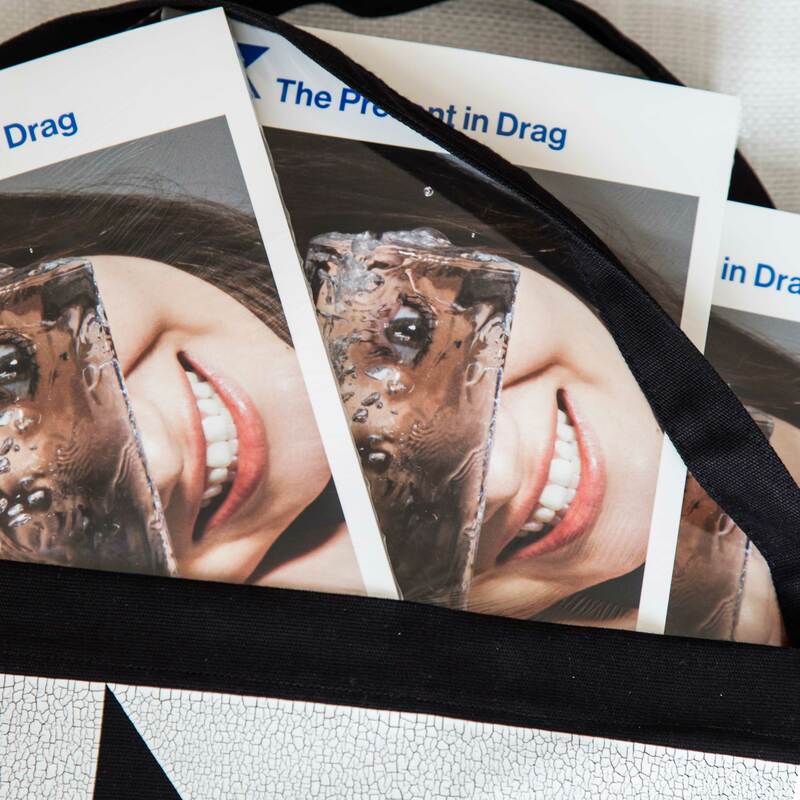 Published on the occasion of the 9th Berlin Biennale, the publication The Present in Drag includes written and visual contributions especially conceived for print as well as information on the works exhibited. The tote bag is one of several contributions to the 9th Berlin Biennale by fashion designer TELFAR.